President Donald J. Trump Thursday announced the nomination of J. Steven Gardner to be the Director of the federal Office of Surface Mining, Reclamation & Enforcement at the U.S. Department of the Interior. Steve Gardner is currently serving as the President and CEO of ECSI, LLC, a consulting practice where he focused on natural resources, mining, reclamation, energy, environmental, health and safety issues. As a Licensed Professional Engineer, Gardner has worked on projects throughout the U.S. and internationally. Gardner was the 2015 President of the Society for Mining, Metallurgy and Exploration (SME) and is recognized as a Distinguished Member. Greg Conrad, Executive Director of the Interstate Mining Compact Commission, also expressed his personal support for Steve Gardner noting his outstanding credentials and his knowledge of the intricacies of the Surface Mining Control and Reclamation Act, in particular the importance of state primacy under the Act as well as the state/federal relationship envisioned by the Act. Mr. Gardner has an MS in Mining Engineering with a Graduate Certification in Environmental Systems and a BS in Agricultural Engineering from the University of Kentucky. In 2011, he was inducted into the College of Engineering Hall of Distinction. 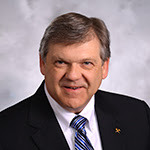 He has previously served on the University of Kentucky Mining Engineering Foundation, Kentucky Geological Survey, Biosystems & Agricultural Engineering Advisory Boards, and was a member of the Kentucky Board of Licensure for Professional Engineers and Surveyors. The Bureau of OSMRE is responsible for establishing a nationwide program to protect society and the environment from the adverse effects of surface coal mining operations, under which OSMRE is charged with balancing the nation’s need for continued domestic coal production with protection of the environment. OSMRE provides critical support to Pennsylvania in the regulation of active coal mines and in the reclamation of abandoned mines.